The day was beautiful, with clear skies over the shadow-filled canyon; the perfect day for an excursion into nature. I was staying at a friend’s house in the hills of northeast Georgia, and Taluah Falls Gorge had been calling my name all week. Apparently, flatlanders like me get a little winded after hiking for five hours, and by the time I got to the end of the trail, I realized two things. First, that I was enormously proud of myself for completing the journey. Second, that I was enormously silly to have attempted it on the second day of a three-day fast. I stumbled, loose-legged to the gravel parking lot and at last plopped down in the stuffy heat of my sun-baked little car. As I sat there trying to catch my breath, I took a moment to check my pulse by placing my hand over my heart. Now, obviously I had a pulse. However, it was difficult to feel it with my hand on my chest because there was too much in the way. If you want to feel a pulse, you check where the blood is flowing. If you want to know what the heartbeat is like, you check arteries and veins, the places where the heart is sending its life. 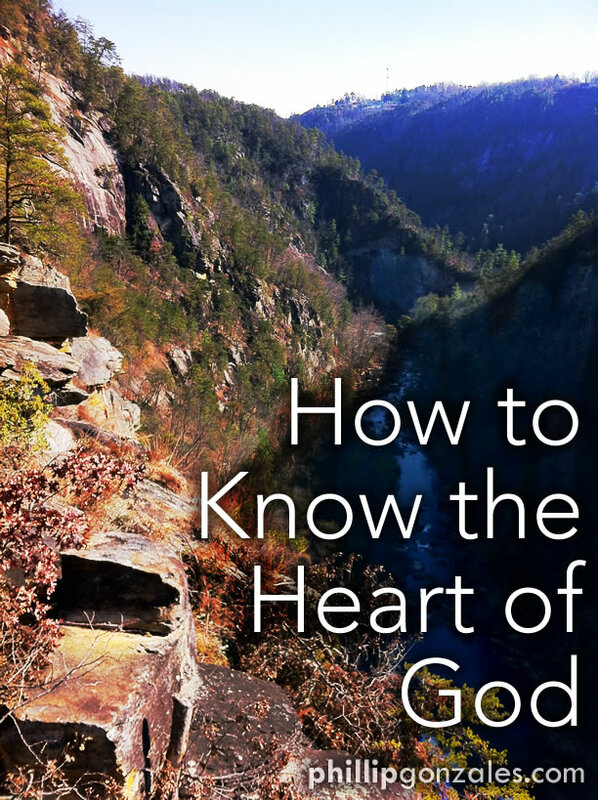 Likewise, it’s difficult to know the heart of God just by asking and waiting for something to happen. Of course prayer is the starting point, but all too often we find ourselves with too much in the way to hear Him clearly. Our schedules are too busy. Our minds are too cluttered. Our surroundings are too distracting. Here’s the thing. As we continue to work on the quality of our “quiet times” with God, and while we remember that the Scriptures are the best way to know God and His ways, there’s another way we can know His heart in the hear and now. Look to where His life is flowing. Look at the people who are filled with joy and are sharing God’s love out of the overflow. Look at the groups who are spreading the Gospel in effective ways. Look at the churches that are getting involved in their community and see the results they are producing. If you want to know God’s heart, look at where His life is flowing and producing the fruit of the Spirit and an abundance of good works. Then, go learn from them and join the fun, and watch as your heart begins to beat more and more in sync with His.